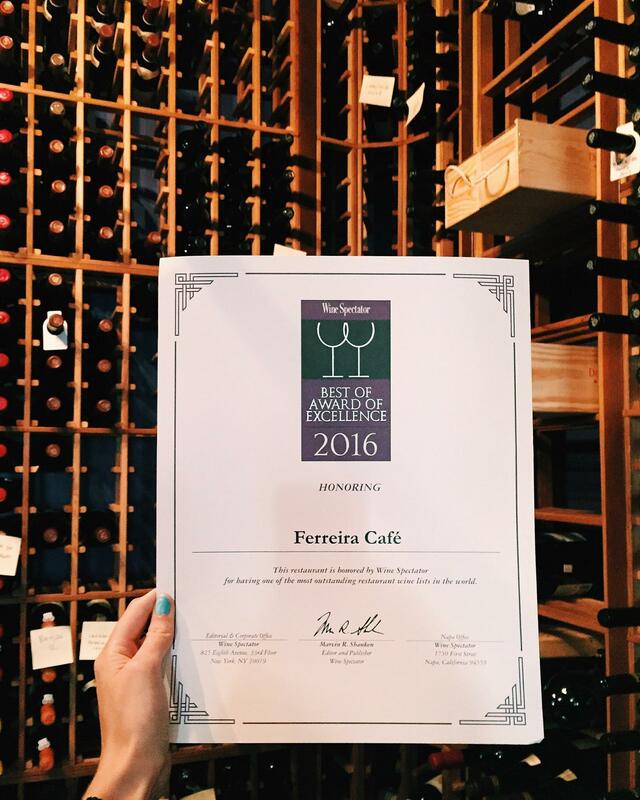 Ferreira Café is very proud to have been selected as a recipient of Wine Spectator magazine’s Best of Award of Excellence for its 2016 wine list! Wine Spectator prizes are awarded to restaurants that offer wine lovers a wine selection that is both attractive to connoisseurs and well suited to the menu. The wine lists of restaurants considered for the Best of Award of Excellence must include products from a wide variety of wine regions or provide a significant selection of major producers (which is certainly the case at Ferreira!). With over 400 labels, most of which are privately imported, Ferreira is a destination of choice for serious wine enthusiasts with a true interest in impressive cellars! A big thank you to Wine Spectator for having honoured our love of good wine!